I’ve swum with wild dolphins in the Maldives, fed baby kangaroos in Australia, spent hours in the shopping malls of Dubai and crash-landed a hot-air balloon in Poland – having spent the last decade travelling and freelancing, I am a joyful, nosy traveller, always meeting new experiences head on. I enjoy digging into the culture, listening to what’s happening around me and taking thousands of photos on the way. Thanks to two decades of travelling extensively through Europe, the Middle and Far East and the Caribbean, I know the cities and countries I write about inside out. And even though I live in the Yorkshire Dales – surely the most beautiful place on earth – I never lose my enthusiasm for skiing in Zermatt, visiting my favourite cities in Italy and Poland or discovering new places to shop in Dubai. Blackpool isn’t quite yet a gastronomic destination in northwest of England; but it’s slowly and surely shrugging off its reputation for serving little else but fish ‘n’ chips in soggy newspaper, or heart-attack-inducing full English breakfasts. 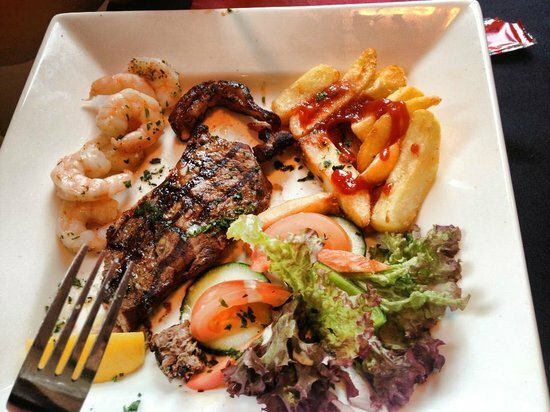 With the help of a huge array of bars, cafés, pubs, and quality restaurants, there’s something to suit every pocket as well as the very pickiest of junior diners. As Blackpool is primarily a family seaside resort, most restaurants offer a simple children’s menu for fussy young eaters (think burgers and spag bol). Most restaurants in the UK take credit and debit cards, but some cafés and pubs may only accept cash. Around a 10% tip is sufficient in restaurants, but staff in bars and pubs do not expect a tip. Blackpool welcomes a lot of families, so evening service in restaurants starts early, with many commencing at around 5pm. 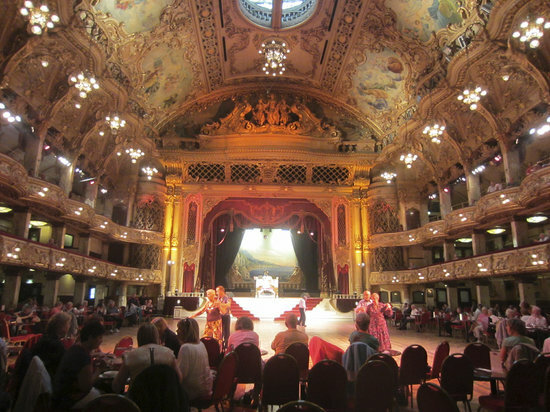 Step back in time to enjoy that most English of institutions – the afternoon tea – in the most English of surroundings: Blackpool Tower Ballroom. This spectacular red velvet and ornately gilt dance hall is famous the world over for its legendary Wurlitzer organ. Pass a sweetly sentimental afternoon, accompanied by neat cucumber sandwiches, cream-filled scones, and delicious pastries - as well as endless cups of tea - while watching couples swirling around the dance floor to show-time dance tunes from yesteryear. And if you want to show off your sharp footwork, just get up and join in! 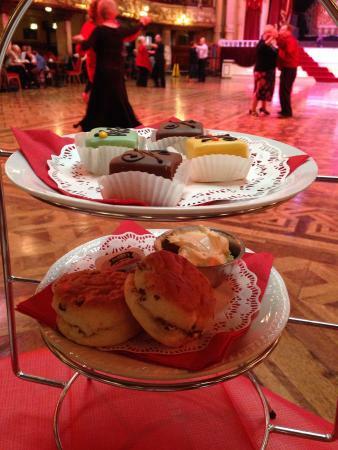 There are three daily time slots for afternoon tea at the Ballroom – noon, 1pm, and 2pm. 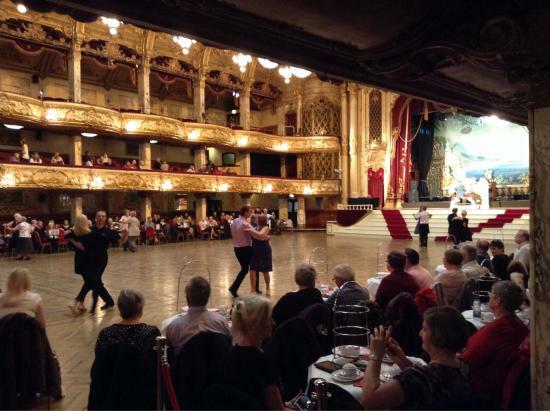 There are often themed tea dances at the Blackpool Tower Ballroom – such as a special 1940s afternoon or a salsa session – so check ahead online to see what’s coming up. Part of the ongoing Blackpool foodie revolution, Toast is a cool, newly designed café, with bare brick and stripped pine décor, knowledgeable - and smiley - service, and a thrumming cocktail bar. With a fast turnover of stuffed baguettes, burgers, and pizza during the day, the restaurant turns serious in the evening with internationally influenced dishes, featuring anything from tapas to fresh mussels or risotto, all freshly cooked to order from local ingredients. 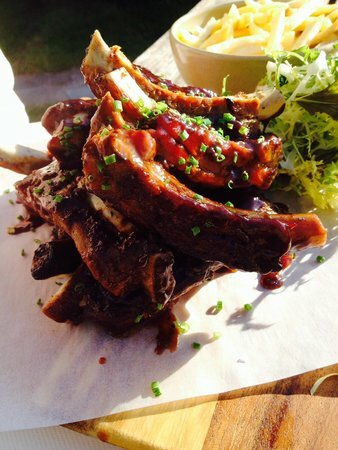 Kids get to eat free of charge between 3pm-6pm Sunday to Thursday, when adults buy one main course and a drink. Toast is open 10am-10pm Sunday to Thursday, and 9am-11pm Friday and Saturday. Want to channel your inner James Bond? The Toast mixologists hold regular 90-minute cocktail master classes. 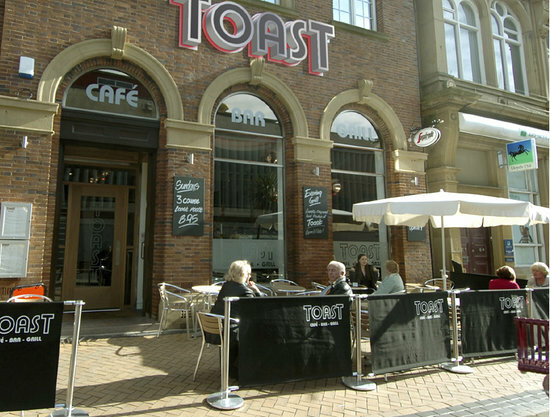 There is another branch of Toast in St Annes, Blackpool’s upmarket seaside neighbour. 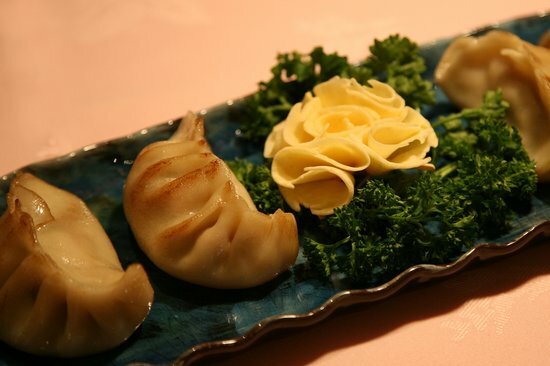 Decked out in bright reds and cozy greens, and voted among the top three Chinese restaurants in the UK for 2014 by tripadvisor users, Michael Wan’s Mandarin is fast approaching its 55th year. 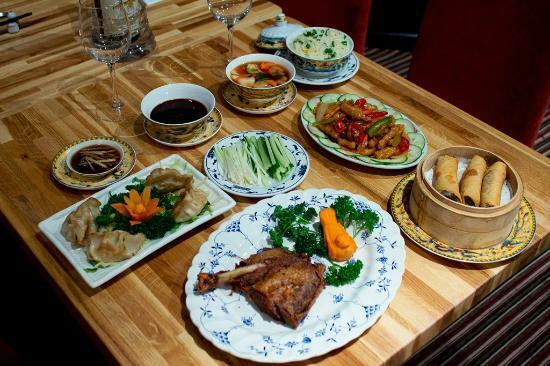 Along with all the usual suspects - chow mein and crispy duck - are some unusual dishes such as spicy nasi goreng pork noodles from Indonesia, Cantonese fish and tofu stew, and shared multi-course banquets which are excellent value and all cooked without MSG. Unusually for a Chinese restaurant, Mandarin also has a decent list of European and New World wines. Bookings must be made at least four days in advance. 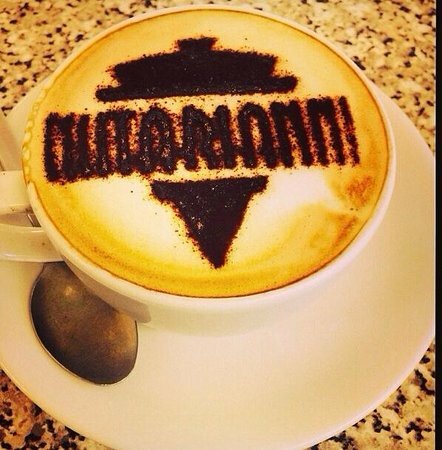 Mandarin is open Monday to Thurday 5.30pm-10.45pm, Friday and Saturday 5.30pm-11.45pm, Sun 5.30pm-10.30pm. Mandarin has a "Little Panda" menu for kids (chicken satay and chips or stir fry) and there are pre-theatre and midweek options on the menu too. Wednesday is live music night at the Mandarin - expect anything from jazz to Rat Pack. 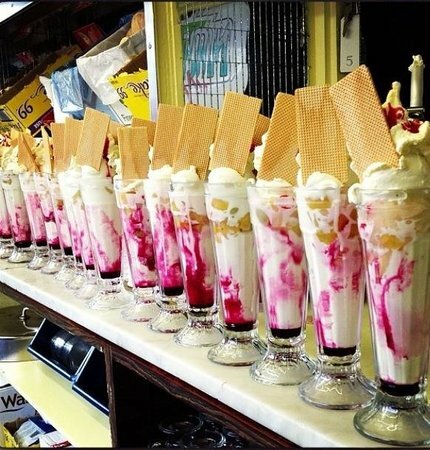 It is almost compulsory that a visit to an English seaside resort include ice cream - and Blackpool’s oldest vendor has been going strong for nearly 90 years. 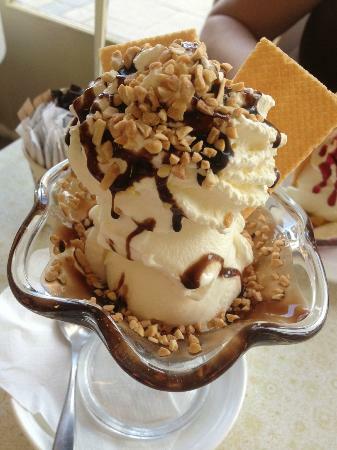 Notarianni is a retro-style gelateria owned by the Italian Vettese family since 1928. The USP is a simply delicious vanilla - the recipe is so secret that the family are reputed to have turned down £1 million for it - which is made daily, and comes in either cones or calorific family favorites such as towering Knickerbocker Glories and banana splits. On hot days, lines outside Notarianni wind their way down the street; eat out on the beach or sit in the simple little café. Notarianni is open all summer daily 10am-7pm. Notarianni does not accept payment by debit or credit cards, so go armed with cash. 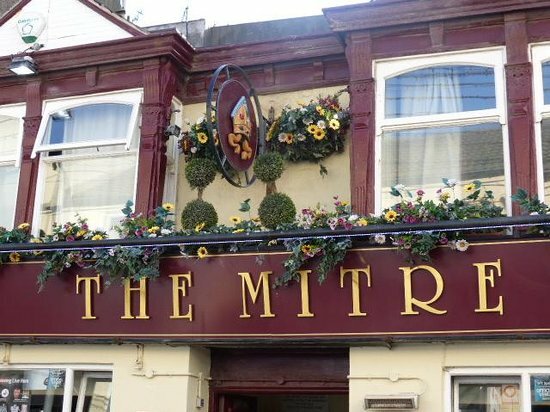 The cream of the many, many pubs scattered around Blackpool’s seafront, the Mitre is a little gem, rightly popular for its welcoming embrace and spotless bar. 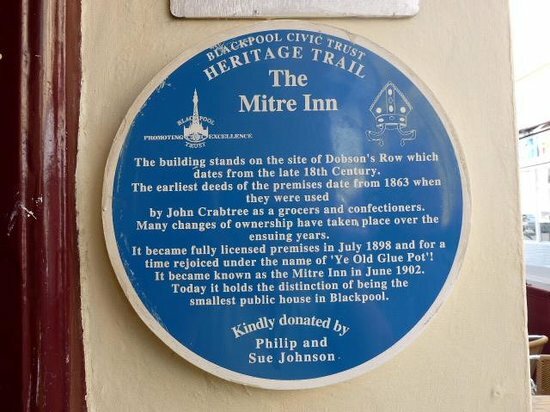 Smartly kitted out with a sprightly red and blue Victorian façade, it’s just off the Prom and is the haunt of many a local drinker as well as visitors, making for raucous, laughter-filled late-night karaoke and sing-alongs to 1950s crooners on the jukebox. A well-tended and well-poured pint of ale adds to the fun, as well as a long list of spirits and wines. Simple dishes are served including roasts, burgers, and sarnies (sandwiches), but 'the crack' is really the major attraction here. 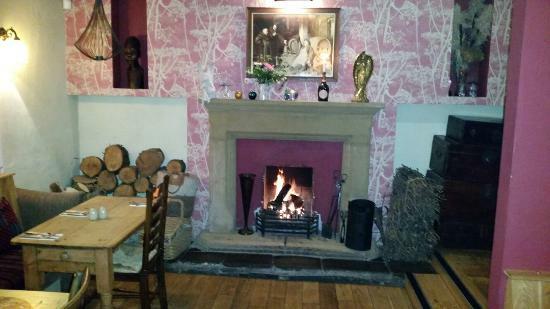 Opening hours at the Mitre are Monday to Saturday 11am-11pm, Sunday noon 10.30pm. 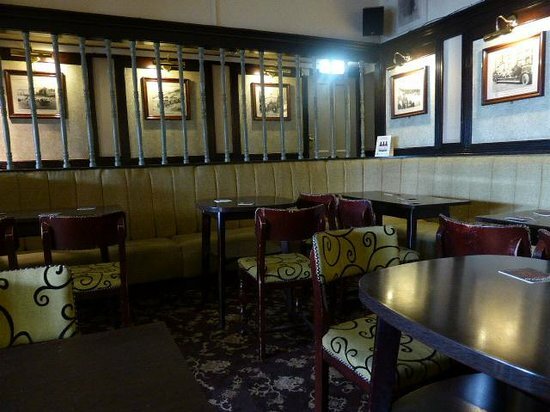 The Mitre has special DJ nights, often showcasing Northern Soul tracks. 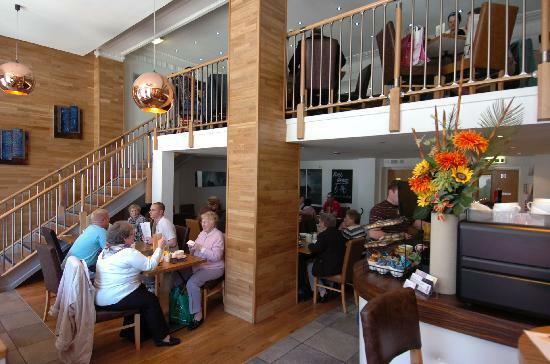 Leading Blackpool’s burgeoning fine-dinning scene for the last decade or so, Kwizeen is overseen by Catalan chef Marco Calle-Calatayud, who takes Lancashire ingredients such as crumbly cheese or shellfish from Morecambe Bay, and makes them sing. Don’t be put off by the unassuming frontage; once inside all is as it should be, with stripped wooden floors and warm colours. 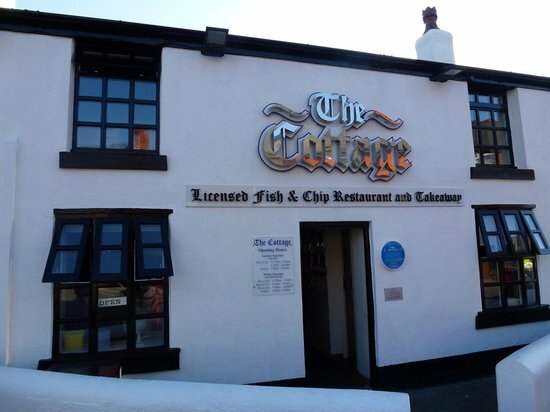 The cooking is consistent and innovative without being too clever-clogs, with menus changing every few weeks, incorporating the best of local produce, from black pudding to crayfish, according to the season. 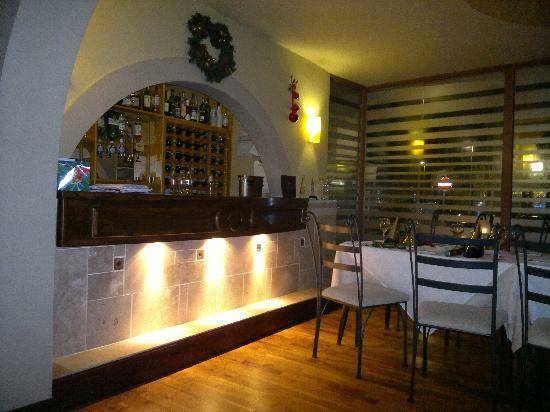 Kwizeen also has a well-priced wine list featuring several unusual Spanish wines, and even champagne by the glass. 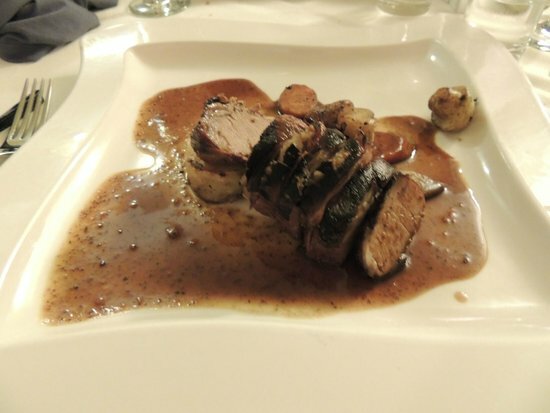 The daily Lancashire Market Menu is a steal for for three courses, and there’s an early eater option too. Booking at Kwizeen is recommended and although there’s no strict dress policy, people wearing shorts and tracksuits will not be admitted. Kwizeen is open Monday to Friday 11.45am-1.45pm and 6pm-9pm; Saturday 6pm-9pm. 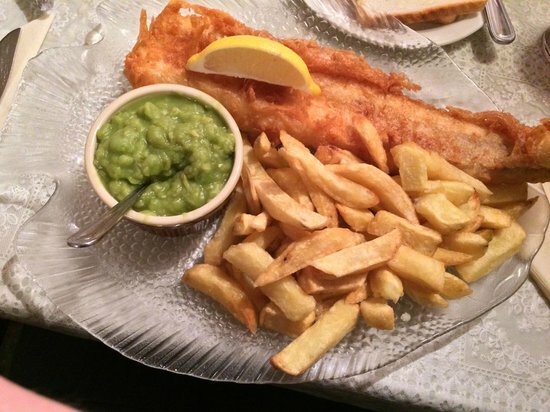 No list of Blackpool eateries would stand up for scrutiny without including a good old chippy, and they don’t come any better than The Cottage. Both a takeaway and restaurant, it is housed in a historic, whitewashed house built in the 1850s, and has been a family-owned business since 1920. 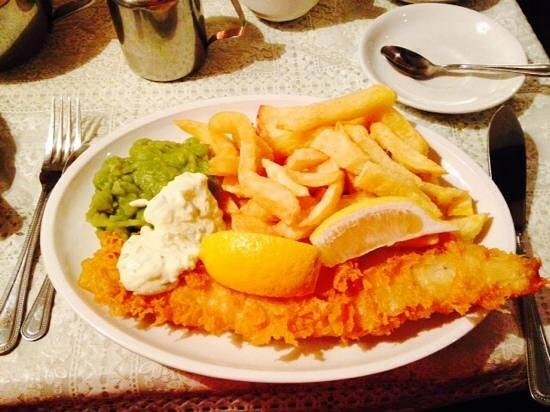 All of the battered fish served is from sustainable sources, and with the exception of the haddock (which arrives fresh from Aberdeen daily), all are sourced from Fleetwood Fish Market nearby. Apart from the statutory mound of chips, accompaniments are minimal, but still include the traditional side dishes of mushy peas or curry sauce. Hours vary seasonally so call ahead to be sure. 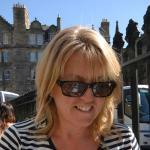 The Cottage gets incredibly busy in summer so book ahead to eat in the restaurant. Standing by a river in the countryside, just inland from Blackpool, the Cartford was built in the 17th century as a coaching inn, and is an increasingly rare find: a proper English pub with open fires and an equally toasty welcome. 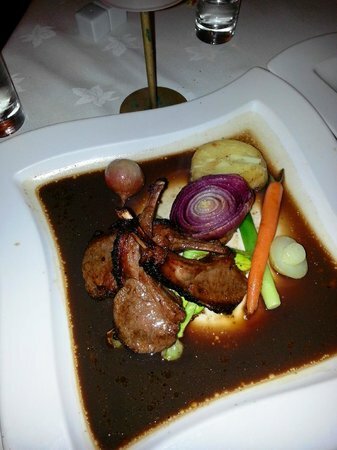 Thanks to its watery setting and gastronomic reputation, the Cartford is increasingly popular, so book ahead to be sure of a table for the evening. 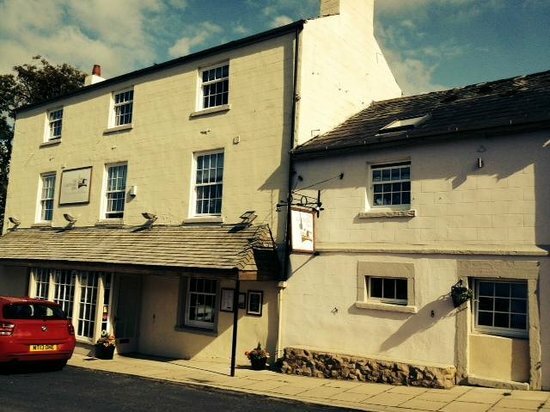 Along with a delicate seasonal menu of Fleetwood fish, meats sourced from local farmers, and dainty desserts, the pub also serves local boutique beers and fine wines. Opening hours are as follows: Monday 5.30pm-9pm; Tuesday to Thursday noon-2pm and 5.30pm-9pm; Friday and Saturday noon-2pm and 5.30pm-10pm; Sunday noon-8.30pm. Should the wine list get the better of diners, there are also 15 luxurious bedrooms available at the Cartford.